Between the mean angles of chain molecules the Degree of Orientation is defined. The size and the fiber axis which indicates the difference between fine and course structure. The molecules slide over each other. The molecules turn into the direction of drawing, that’s why after being drawn the fiber axis is oriented to parallel. 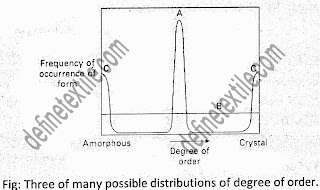 Fiber properties are modified by the increase in the degree of orientation. 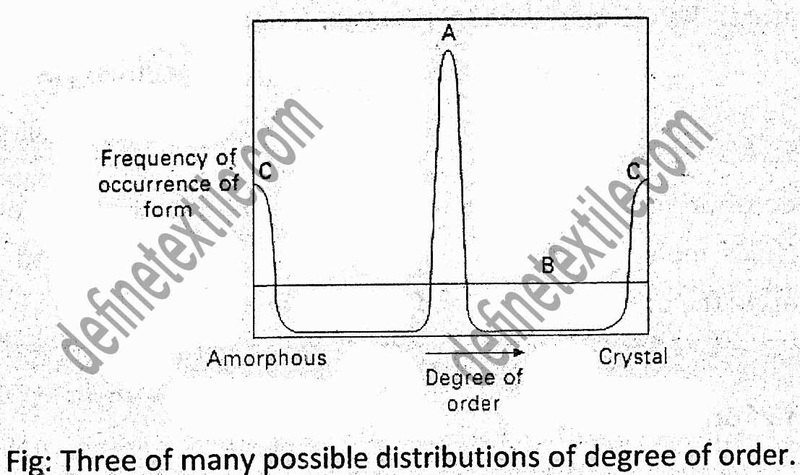 Degree of localization of order: Some measure of the spread of values of degree of order taken over zones a few molecules wide is known as degree of localization of order. A = would have a low volume. B = would be larger. C = would have the largest value.